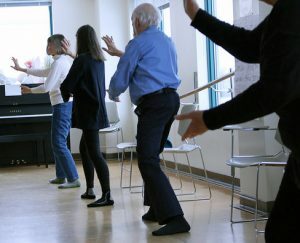 The Living Well Network and experienced Tai Chi instructor, Jean Lukitsh, are happy to present low cost Tai Chi classes that are open to the public. Classes are ongoing. Weekly classes are in session! Click here to check the calendar. Tai Chi for Health and Balance will introduce participants to the deep bodywork of tai chi, encompassing targeted relaxation, posture and stance exercises, qigong, and selected techniques from classic tai chi practice. Exercises emphasize gentle stretching, core alignment and efficiencies of movement. The history and health benefits of tai chi is also discussed, and the practice modified for those with physical limitations. Tai Chi is taught by Jean Lukitsh, who studied with Tai Chi master Bow Sim Mark since 1978, and is an instructor at Mark’s school in Boston’s Chinatown. Jean brings years of mastering Tai Chi and experience as a Geriatric Nurse to her gentle Tai Chi for Health and Balance classes. Click here for an article about Jean. Classes cost $10 (each). These are drop-in classes and there’s no need to sign up in advance. For more information contact Diane Martin, Living Well Network Coordinator dmartin@agassiz.org. Support the Living Well Network by becoming a member.